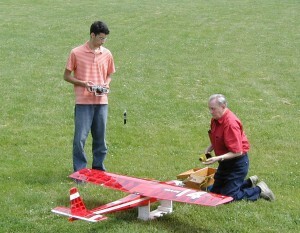 To qualify as a model aircraft, the plane weighed less than 11 pounds. Half of that was fuel and, given that it burned only two ounces per hour, that meant that it had an endurance of just over 36 hours. With a wingspan of just 72 inches, the little plane was an engineering masterpiece, even if made of balsa wood, thin plastic mylar sheeting and glue. It was named “The Spirit of Butts’ Farm”, a tip of the hat to Charles Lindbergh’s famous “Spirit of St. Louis”, and equally a tribute to an elderly aviation pioneer, Beecher Butts, upon whose farm the team had done its flight testing. 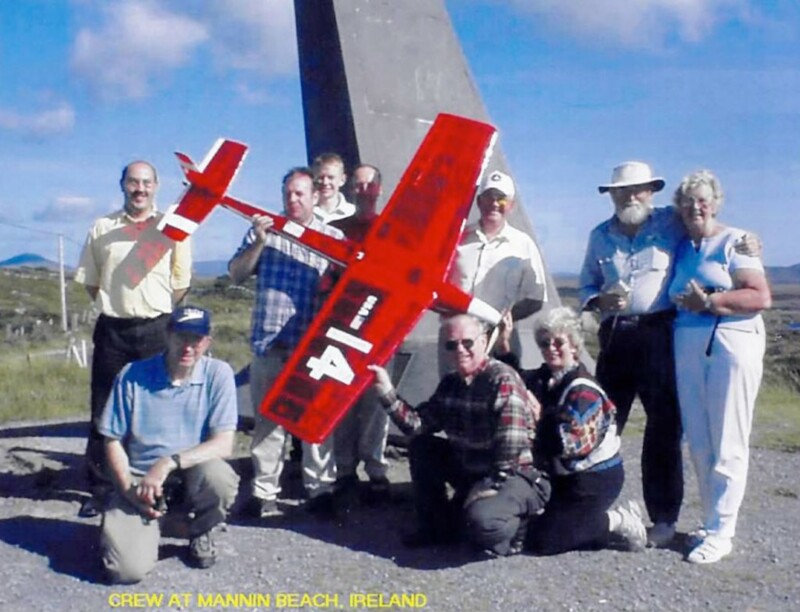 The mission ahead was seemingly impossible — to cross the Atlantic Ocean from Newfoundland to Ireland with a radio controlled airplane. Yet this wasn’t just a pipe dream, rather, this was the unstoppable vision of just one man, Maynard Hill. 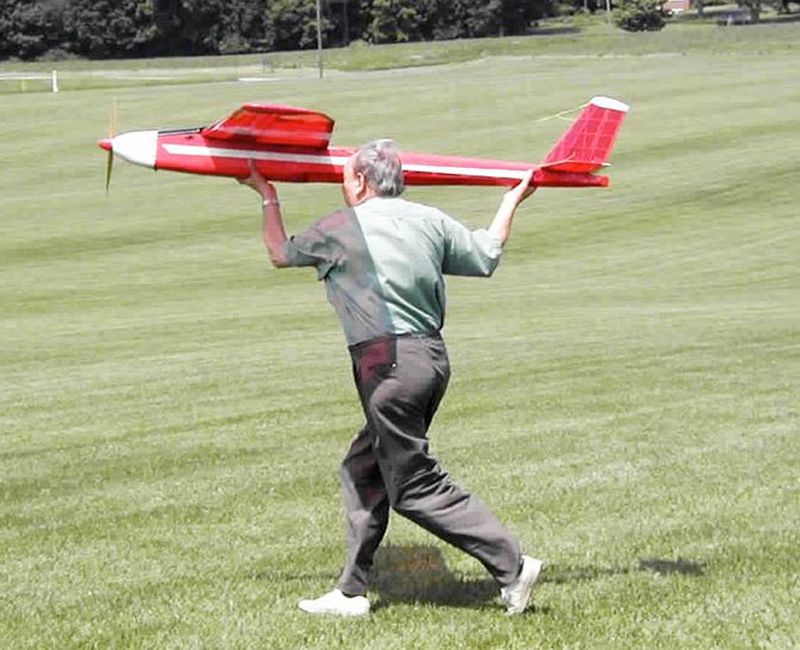 Hill was 77 year old and mostly deaf as well as legally blind — to build the airplanes, he had to color his glue bright red just so he could see what he was doing. Yet behind these physical impairments was the sharp end of a serious engineering intellect and visionary radio controlled airplane innovator. To achieve his goal, Maynard Hill had attracted a team of supporters and engineers, people who knew of Hill’s past achievements and reputation. They knew that he could lead them to success — and together, they were about to make model airplane history. What seemed like an impossibility to others seemed to Hill like just another engineering challenge, even if a great one. The key challenges were first, to create systems that could fly a radio controlled aircraft across more than 1,800 miles of open ocean, during which for most of the time the plane would be out of range of any radio control equipment (and thus, this implied autonomous flight and navigation which they would have to pioneer and build themselves); and second, to create a model airplane that had the endurance and range to make it to Ireland yet still remain within the 11 pound weight limit set for model aircraft. Maynard Hill was just the kind of guy who would take on such a challenge. Already, he held records for endurance and distance with model aircraft. 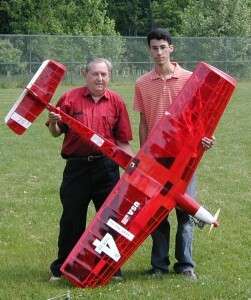 He had been building planes since he was nine years old. Born in 1926, he had grown up in the days of Charles Lindbergh and Amelia Earhart. Like many boys, he had made model planes at home, but whereas others built models and dreamed of flying “real airplanes”, Maynard Hill built models and dreamed of building yet more models. In his lifetime, he had seen the expansion of aviation and the invention of radio controlled models (in a small town known as Kalamazoo, Michigan) and had helped advance the field of radio controlled aircraft. He had been a World War II veteran involved in aviation, deployed to Panama. In his professional life, he had helped pioneer the early drones for military usage (nowadays called UAVs, UCAVs and UAS). Maynard Hill’s plan to cross the Atlantic was simple — he would develop an airplane that would take off under radio control, then head out over the ocean and switch to on board, autonomous navigation to track across the Atlantic, and then once within sight of its intended landing spot in Ireland, hand back control to another radio-control team for landing. 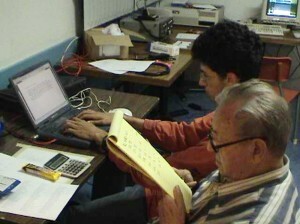 What looked like a simple plan actually required thousands of hours of pioneering computer programming and the expert hand of Hill himself to build a plane light enough to make the trip. It would be a project that would consume five years of effort, tens of thousands of dollars and countless hours innovating, programming, testing and failing until finally everything came together. On August 11, 2003 (today in aviation history! ), Maynard Hill and his team were ready. 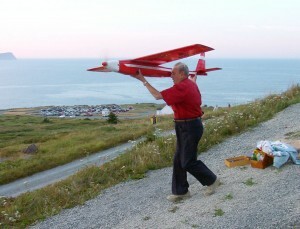 They had traveled to Newfoundland and had prepared the little model plane for its voyage. The weather looked good and all systems checked out. “The Spirit of Butts’ Farm” was started up and Hill gave it a mighty heave to launch it into the air. It was just after 10:00 pm UTC (around dinner time in Newfoundland). The team then steered it out over the ocean and switched control to its on board computer. On the ground, one of Hill’s team, Cyrus Abdollahi, a young student engineer, monitored the progress of the little plane as it headed east over the horizon. Everything worked well at first, but then the aircraft appeared to go haywire. It would climb slowly up and then suddenly descend rapidly toward the waves. Suddenly, the signal from the plane to Abdllahi’s computer disappeared, seemingly cut off as if from a crash into the sea. At work with the computer during the flight. Photo Credit: Les Hamilton, republished with permission from Cyrus Abdollahi. As the minutes ticked by without any further signal from the plane, one by one, the team gave up hope. Even Maynard Hill wrote the plane off as likely crashed. Yet Cyrus Abdollahi continued to monitor his computer — just in case. After several hours, to everyone’s surprise, the signal suddenly returned. As incredible as it seemed, the plane was still aloft and still making its way across the Atlantic. While it was having control problems, it was still on course for Ireland. The vigil continued as the team monitored the plane’s progress. Then after many more hours, the team’s calculations revealed that the headwinds encountered had been greater than forecast. 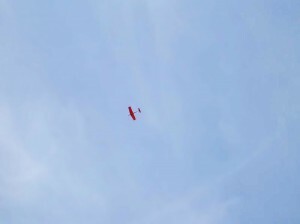 The plane, which had a 36 hour fuel tank, would fall short. They could do nothing but watch as it plodded its way across the Atlantic at its programmed airspeed of 45 mph. The 36 hour point passed at which time the fuel supply should have been exhausted, but the engine continued to run — there was more fuel, but how much? Finally, after 38 hours and 52 minutes of flight, the GPS signals reported that “The Spirit of Butts’ Farm” was over Ireland and at the intended destination. The plane landed a little past 1:00 pm in the afternoon. The flight had somehow crossed 1,882 miles of ocean despite flight control problems that had plagued much of the trip. It had set a new record for distance and endurance. On the ground across the Atlantic, the second team spotted the plane, turned on their radio transmitters and took control. They steered the it in, shut off the engine and landed near a monument dedicated to an earlier pioneering trans-Atlantic crossing by John Alcock and Arthur Brown in 1919. “The Spirit of Butts’ Farm” had landed. After landing, it was determined that less than 2 ounces of fuel remained in the tanks, showing just how close the effort had come to failure — yet the plan had come together. Maynard Hill had done it after a five year effort, countless tests, and many models that had been built, tried and scrapped along the way. On receiving the phone call that relayed that the plane had landed safely, “I just grabbed my wife, hugged her and cried like a baby,” Maynard Hill would later say, “I’m an emotional guy.” It was a fitting and successful end to a lifelong dream and a tribute to a man whose perseverance and good humor would be key to his success. Addendum: Sadly, Maynard Hill died in May 2011 at his home in Maryland. He will be missed. 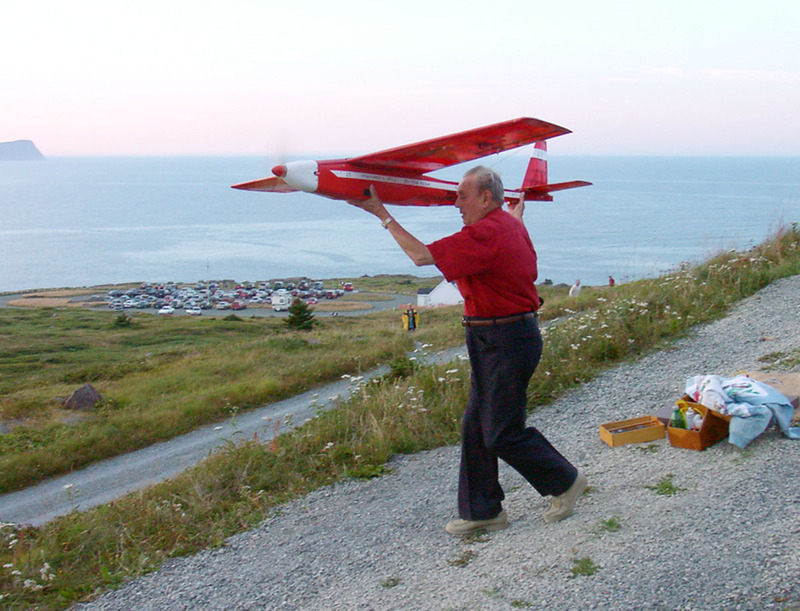 Maynard Hill’s pioneering work transcended radio controlled airplanes. His professional efforts resulted in the founding of a company called BAI Aerosystems that developed and pioneered unmanned aerial vehicles, including the ExDrone. Priced at less than $100,000, the UAV drone could fly for over 2 hours and had a range of just a little more than 80 kilometers. Over five hundred ExDrones were produced for US Government buyers and the plane was successfully employed in combat during Operation Desert Storm in 1991. BAI Aerosystems was eventually acquired by L-3, one of the largest defense contractors in the United States, which today continues to manufacture UAVs for the US Military and other government uses. Interestingly, whereas model airplanes were once often the dreams of those who wanted to one day fly the “real thing”, today drones are becoming as important and maybe even more important than piloted aircraft. The technology has come a long way. Aerosonde Ltd is a small Australian-based developer and manufacturer of Unmanned Aerial Vehicles, including the Insitu Aerosonde series. The company has customers in Australia, Asia and North America who utilize its vehicles for reconnaissance and meteorological applications. The company gained prominence on 21 August 1998 when an Aerosonde “Laima” became the first unmanned aerial vehicle to cross the North Atlantic, covering a 3270 km route in a time of 26 hrs 45 min.